Your Genuine Mopar Parts Source. Mopar Vehicle Parts are made from the correct grades of steel or aluminum manufactured directly from the manufacturer. Whether it's fenders, lights or trim pieces, these parts perform at the same level as the original parts, ensuring your vehicle continues to remain 100% Original Equipment Manufactured (OEM). Most Parts included a limited Chrysler manufacturer warranty. Rest assured we'll keep your car Mopar humming with genuine original parts. At MyMoparParts, we GUARANTEE that you won’t pay too much for a genuine OEM Chrysler, Dodge, Jeep or Ram part. MyMoparParts has been proudly helping family car owners get the best quality replacement OEM parts keeping your vehicle running like it should. If you need a great deal on a factory-replacement Mopar parts, you’ve come to the right place. Looking for genuine OEM Mopar parts for your Chrysler, Dodge or Jeep vehicle has never been easier. 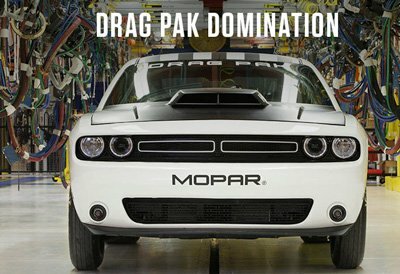 Our online Mopar parts catalog is designed to make your search fast and friendly. You could spend hours calling around trying to find the correct auto part for a fair price or with a click of your mouse find what you need at the best price. If you don't feel comfortable ordering over the internet, just call and let one of our highly trained advisors assist you. At www.mymoparparts.com we want to help you find the right part, the first time, for a fair price.